A second grader at UpRiver School earned a first place finish in the 2015 PBS Kids Writers Contest. 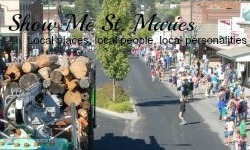 This is the second time Cody Loe has placed in the contest for northern Idaho. He earned a third place finish last year as a first grader. 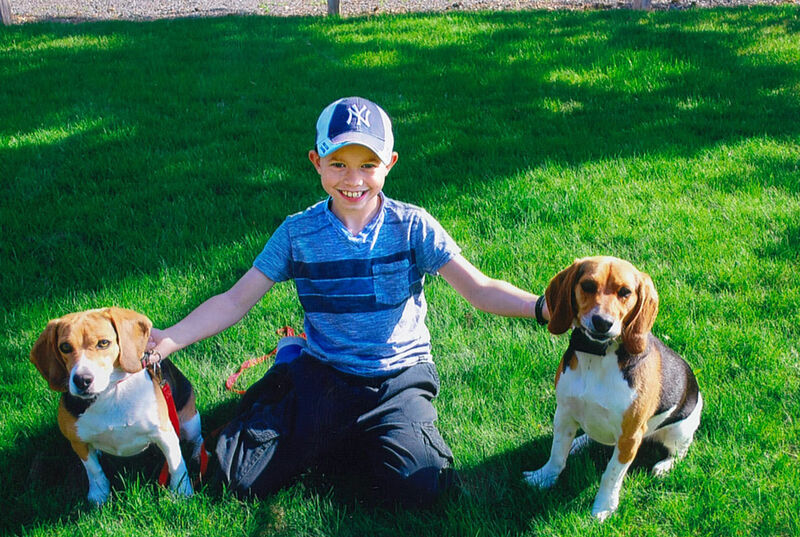 Cody Loe is pictured with Molly, left, his family’s Beagle, and Jake, right, his cousin’s Beagle. Cody’s story about the two Beagles who fight crime was the first place winner of the Idaho Public Television’s writing contest. His story, complete with illustrations, will compete at the national level. “I wasn’t really expecting anything,” he said. This year’s story was a tale of two beagles that fight crime. Cody’s characters included his own beagle, Molly, and his cousin’s beagle, Jake. Cody also illustrated the book, drawing pictures for different scenes from his story. His third place story last year also featured Molly as a character. “So Molly is famous twice and Jake is famous once,” Cody said. When it comes to writing, Cody said at first he hesitates, but once a story gets started it’s hard for him to stop writing until it is finished. He wrote his winning story, The Super Beagles, in February. As the second grade winner, Cody and other grade level winners were honored at BookPeople in Moscow May 9. Not only was he able to read his story to the audience, but Cody received a prize package that included a certificate, books, gift cards, pens and more. Cody’s story will also be published online in June at www.idahoptv.org/kids. Cody’s teacher sent the information home with students and then they decide if they want to enter the contest. Cody says he definately will enter next year’s contest and plans to continue writing. Cody’s winning story was sent on to the national level as well. The results from the national competition will be available in July. Cody is the son of Bobby and Calandra Loe of Fernwood.